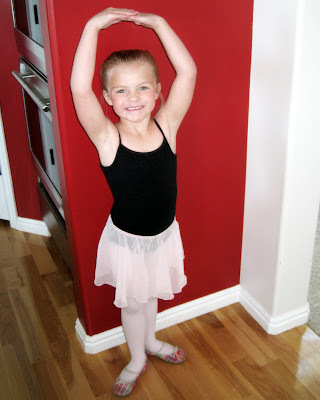 For the past several months Jade has been asking if she can take ballet again. We already have her in karate and gymnastics. But, she just kept asking I decided to let her do it. 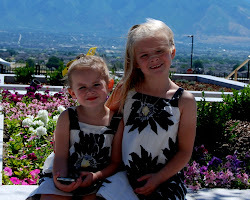 Utah Regional Ballet does these great workshops during the summer. 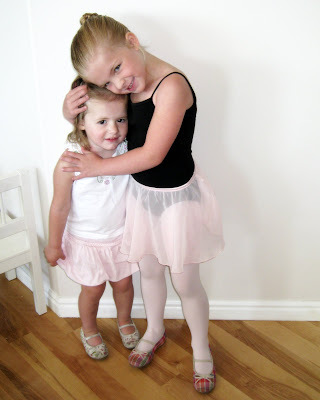 Each week they learn about a new ballet and they also get to dance. It's the perfect summer program. Although, she loved it so much, she has already said she wants to keep taking ballet after school starts. Is it too much to have her in ballet one day a week, karate one day a week and gymnastics two days a week? She's doing really well in gymnastics and next Saturday she is getting her first belt advancement in karate. Oh, heavens, I just don't know. I'd love to hear every one's opinions on the topic. Is it too much to have a 5 year old in 3 activities? Ivy is expressing interest in ballet. She actually has a much better feel for ballet than she does gymnastics. You should see her feeble attempt at a somersault.